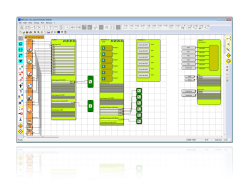 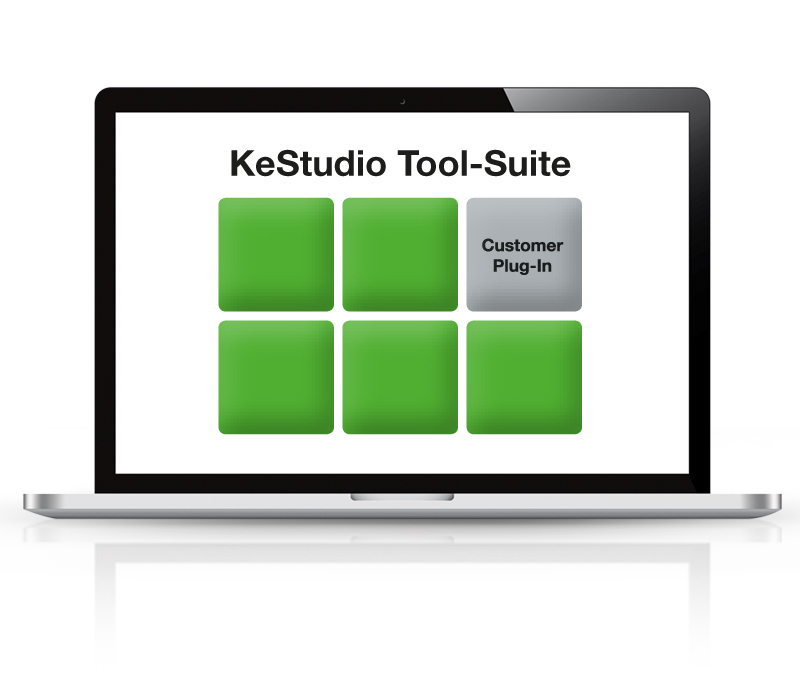 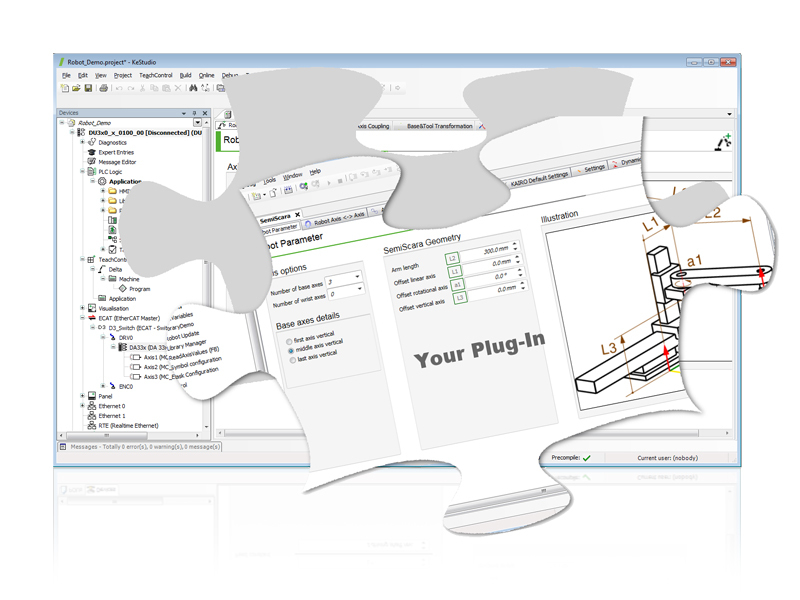 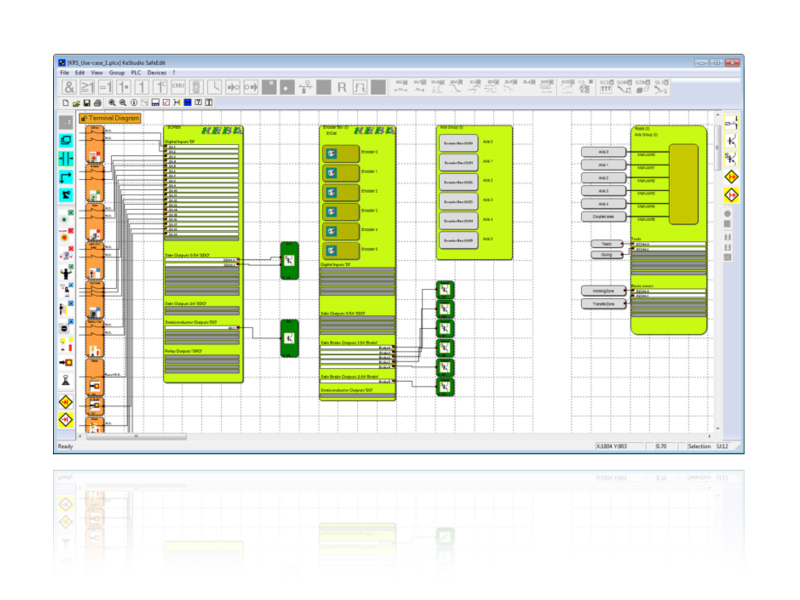 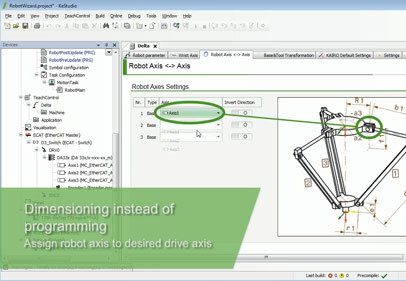 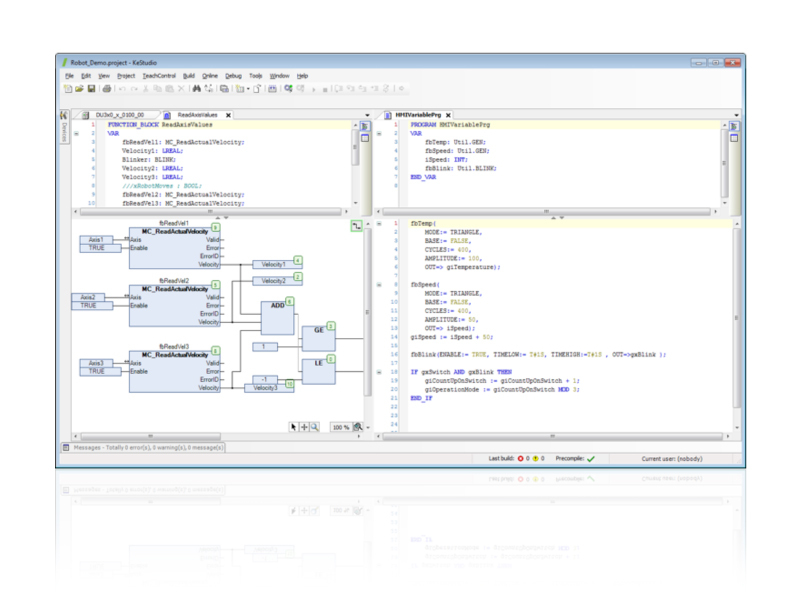 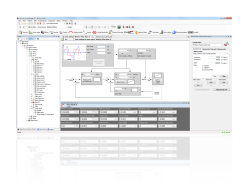 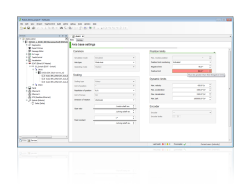 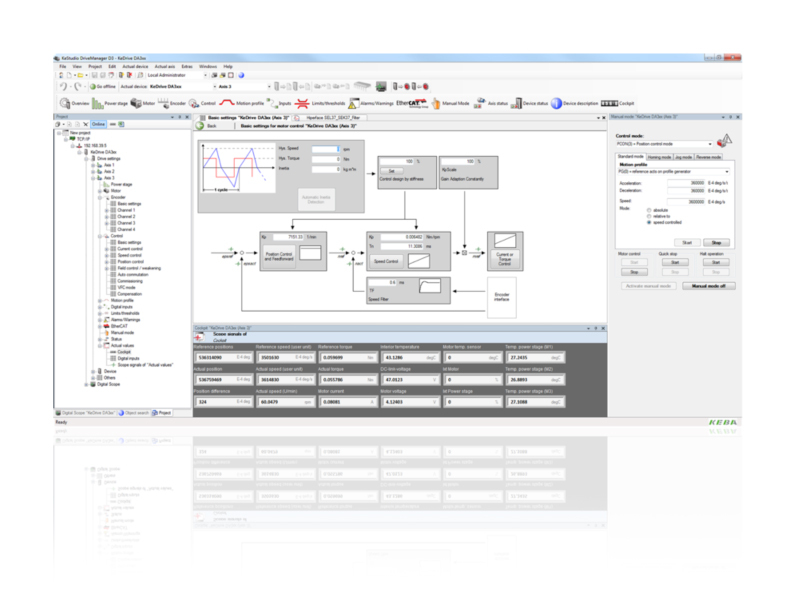 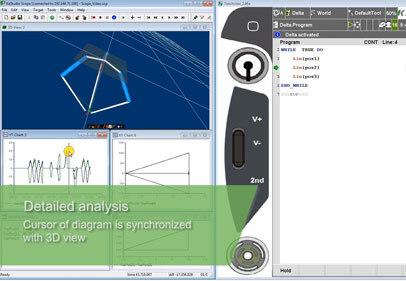 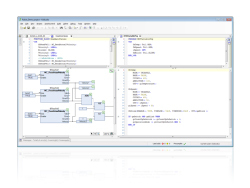 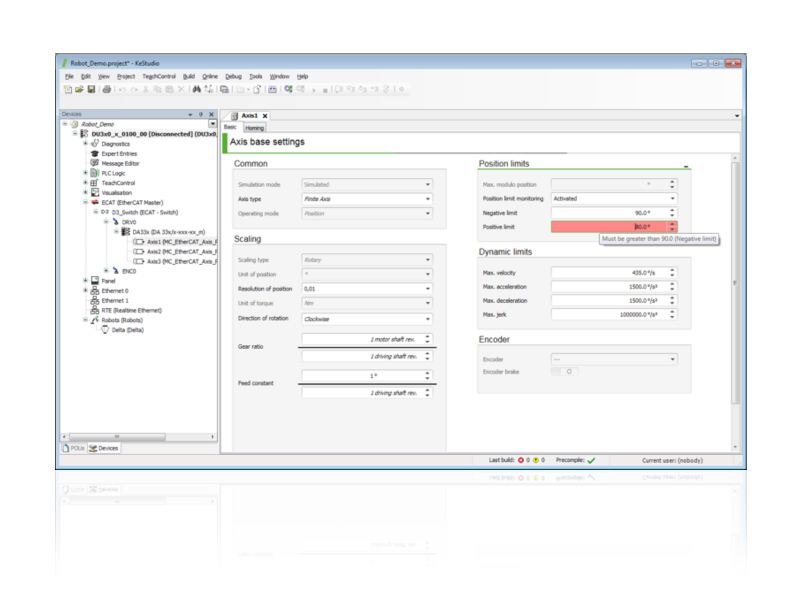 KeStudio is the all-in-one engineering suite for all phases of the automation process. 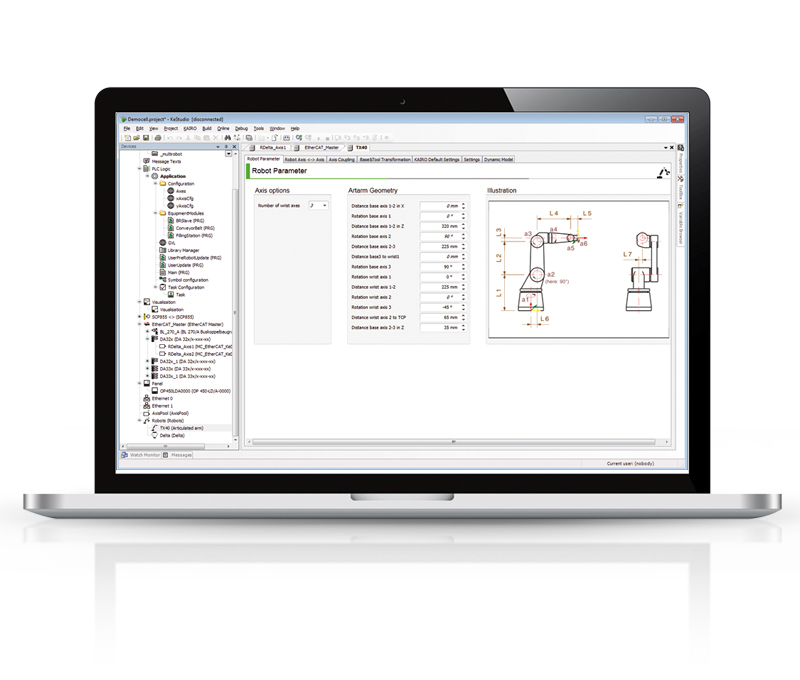 From configuration to programming to diagnosis and simulation, KEBA offers customers a comprehensive engineering environment. 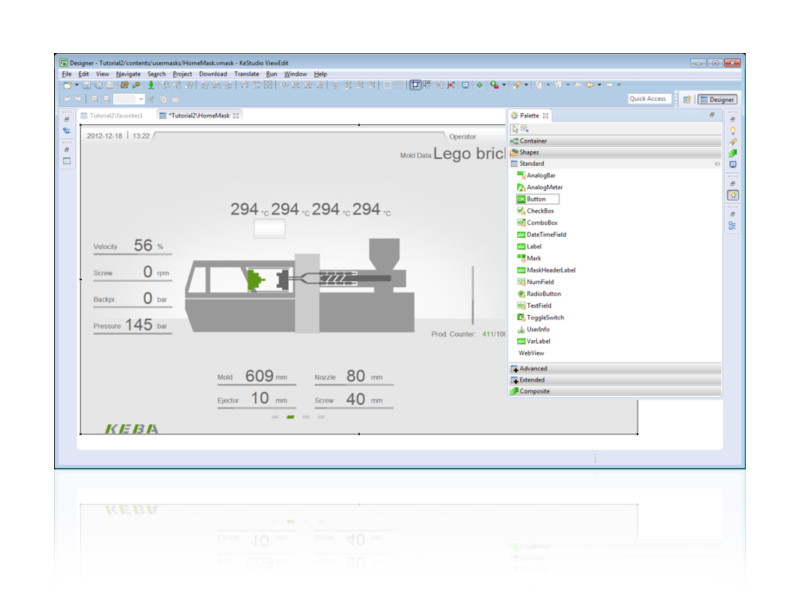 Ready-to-use applications, intuitive wizards as well as tailor-made industry applications in KeStudio Motion, KeStudio Plast, KeStudio View and KeStudio FlexCore ensure fast project lead times. 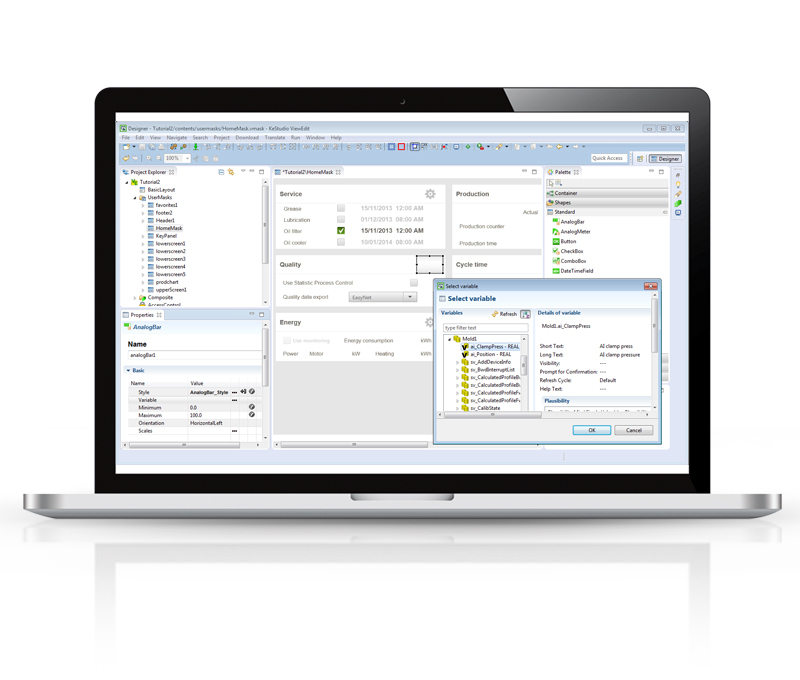 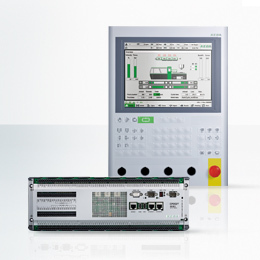 Easy-to-use operating elements such as structured selection boxes guarantee fast configuration of the entire control. 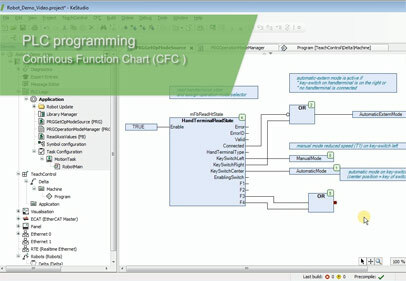 The possibilities range from the programming of classic control tasks to smartly calling C/C++ modules directly from the IEC runtime system to object-oriented extensions. 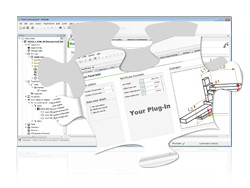 Individual visualization masks can be easily created using drag & drop. 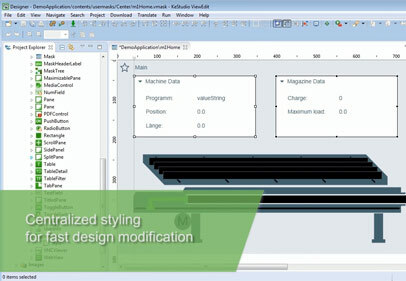 With the KeStudio WYSIWYG designer, your custom visualization is quickly completed. 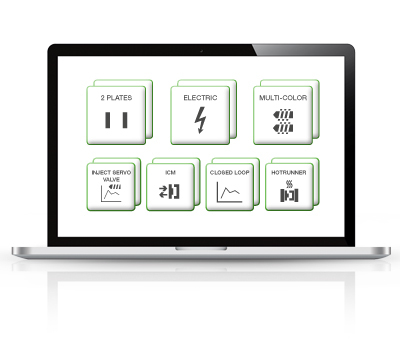 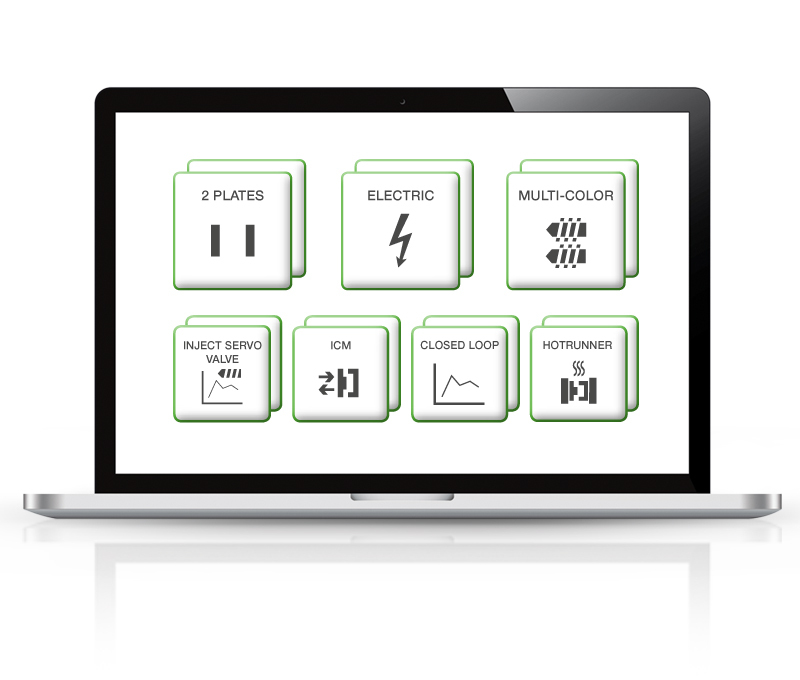 The graphic interface for safety programming supports the user-friendly creation of everything from simple safety applications to more complex safe robotics applications. 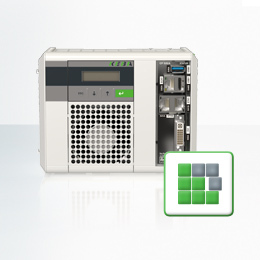 KeStudio offers many mechanisms for quick commissioning and maximum optimization of drives. 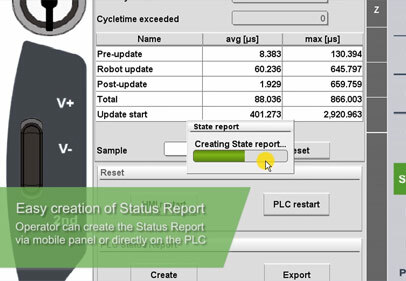 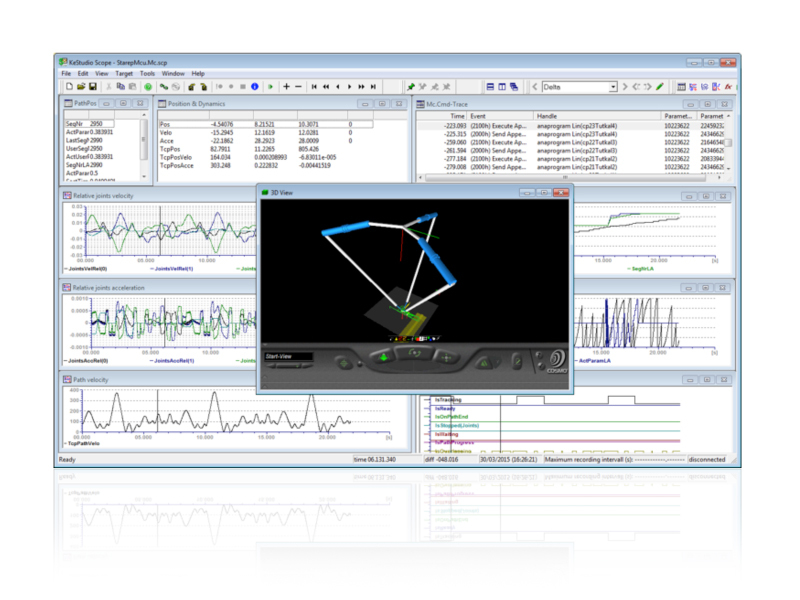 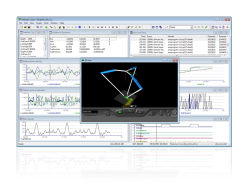 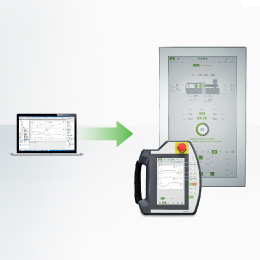 Whether in the development phase, during commissioning and application optimization or during running operation – practical simulation tools and diagnostic programs guarantee the shortest project lead times and maximum machine availabilities. 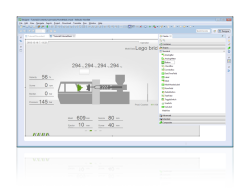 Development phase: debug functionalities such as breakpoints, watchpoints as well as a variable monitor, etc. With the “Open Tools platform” option, KeStudio can be adapted to individual requirements. 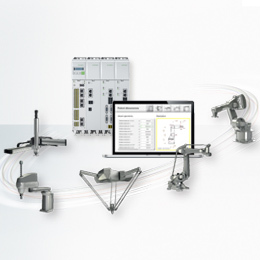 It is thereby possible to, e.g., easily set up the series production of software or seamlessly integrate your own programming interfaces.